Waterproof iPhone cases are a top 10 necessity for beach lovers. My husband is required to use his waterproof iPhone case when he goes to the beach or to the pool for that matter. After one phone landed in the bottom of the pool and another in his swim trunks pocket in the ocean he can't be trusted. 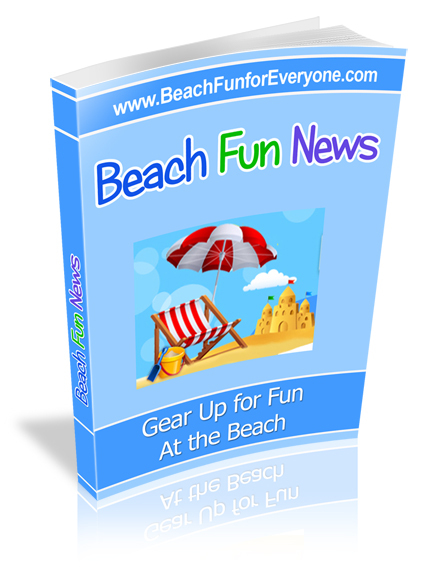 While he was able to revive the phone that went into the pool, the one that went into the ocean salt water is another story. There actually was a third time my husband's phone ended up in the water - it was a fountain - at an outdoor mall - but I'm not going to explain that story. For less than an $8.00 investment, protect your smart phone and keep it in a waterproof case. From iPhones to Samsungs this case fits most smart phones as well as iPods or other MP3 players. You can still use it and talk with it while it's in its case. Use the strap to wear around your neck. If you keep a little air in it it will float if the case ends up in the water. Test it first with a paper towel to be sure you have it sealed properly or that it's not defective. 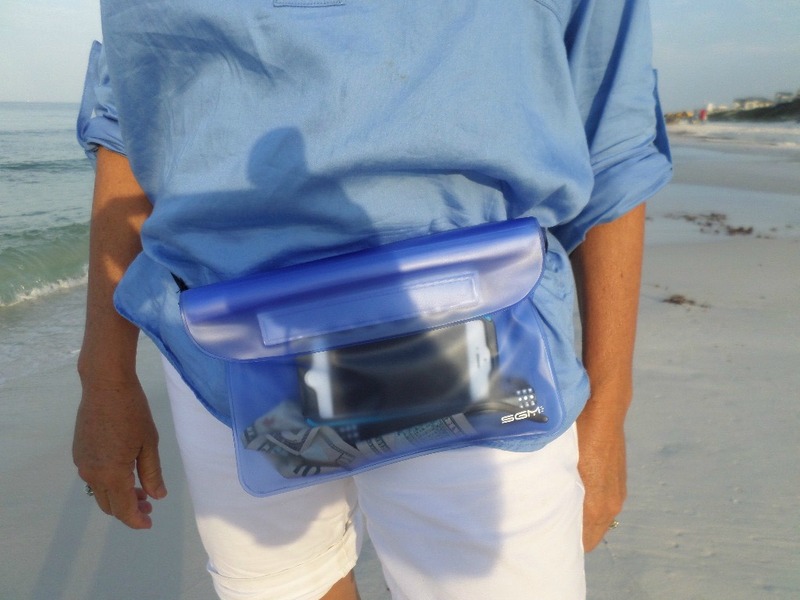 This waterproof phone bag was great to have at the beach. I didn't go swimming with it, but you could. My iPhone, camera, wallet or cash kept dry and sand free. Everyday I used it for walks on the beach when I didn't want to leave my phone or wallet. It didn't matter when I was walking in the waves or getting splashed on because my phone, camera and money was protected. 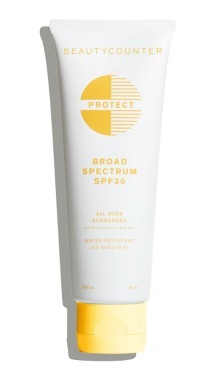 When not on my waist, I just used it in my beach bag so sand and dripping water didn't get on "my stuff." For just about $10 it was a great little investment that I used everyday. Never run out of charge again. 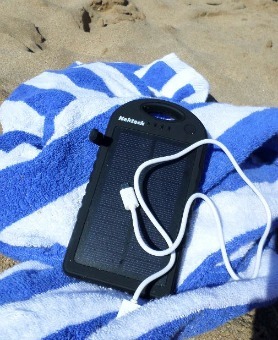 This solar powered cell phone charger always comes with us to the beach. It's so compact and portable - not truly waterproof but water resistant. Charge it up first with the wall adapter or by using your computer to maximize the length of time it provides a charge. I have however been able to fully charge my phone with this device out in the sun. There are two USB ports so you can charge two devices at a time. Think of it as a battery bank with the ability to add some power to it from the solar panel. The Kindle Paperwhite is best for reading outdoors as it doesn't have the glare and you can read it in the sunlight. While I of course won't be swimming with this case, I can have peace of mind knowing that if some "dripping" kids come too close or a big wave hits me the Kindle will be protected from splashes of water and sand. If you like reading on a float in the lake, ocean or pool this is another good reason to have a waterproof Kindle or iPad case. Others like to read in the hot tub or bath and now have the perfect waterproof case to do just that. It's triple sealed and has an adjustable strap. The keypad and navigation buttons work with the Kindle in the case and the clarity of the words is not affected by the plastic. 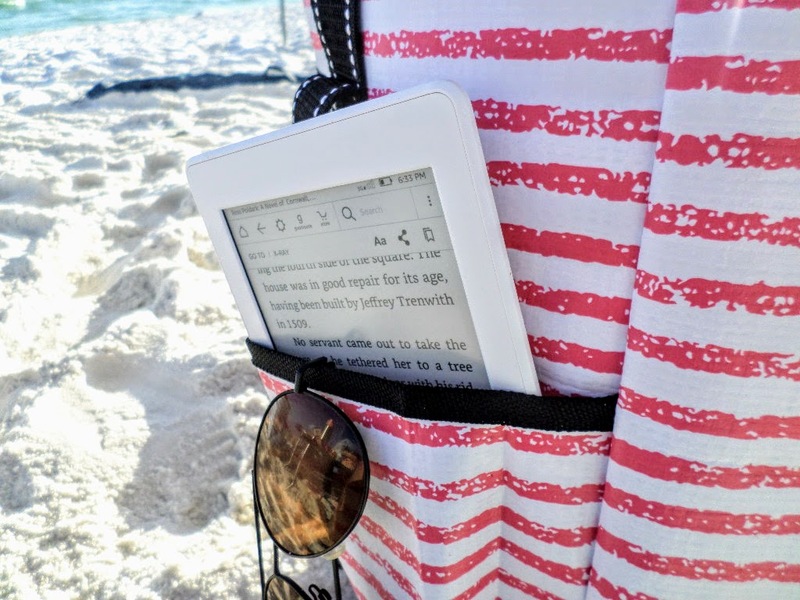 Stop carrying tons of books to the beach, load them onto your lightweight PaperWhite and read knowing that it's protected from any water or sand. As an avid reader I usually have several books going at one time - but who wants to add more weight to their beach bag? Not sure what book you want to read? 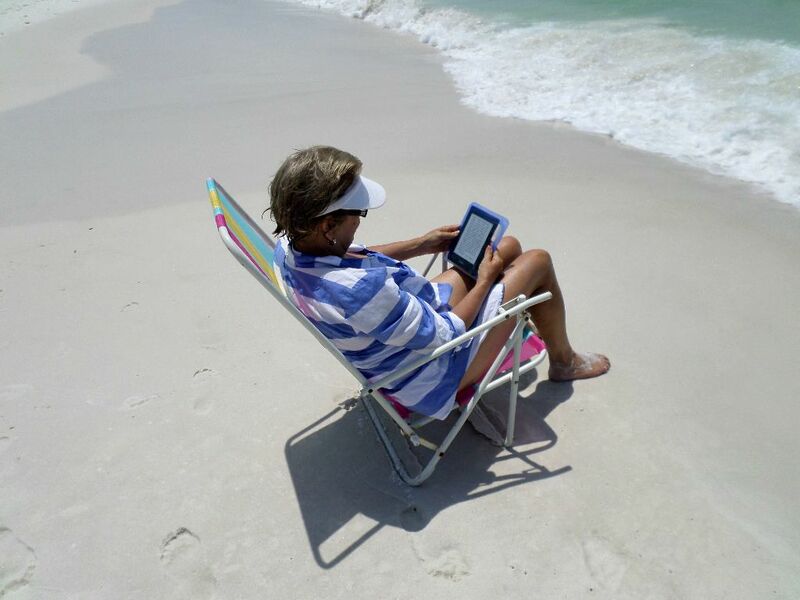 You can wait and decide when you get to the beach if you get a Kindle Paperwhite that has the cellular connectivity. No need to read through a waterproof case anymore on your Kindle reader thanks to the new waterproof Kindle Oasis. With a bigger screen of 7" instead of the traditional 6" you can read a little easier. 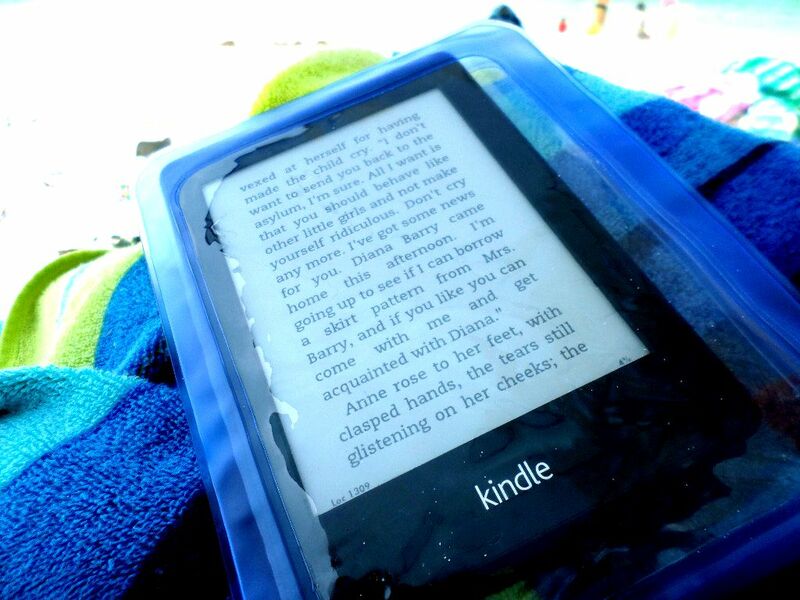 Reading at the beach is part of what we do and instead of lugging lots of books we always bring our no-glare Kindle so we can read outside. Keep all your gear dry in this dry gear bag - throw in your cameras, cell, phones, iPod, iPad or Kindle reader, clothes and wallet. There are no compartments or pockets - just one bag. Wear it over your shoulder for carrying and wipe it clean if it gets sand or mud on it. This camera waterproof bag works for more than 600 models of compact digital cameras. It is certified as a waterproof up to depths of 16 feet. The camera is fully functional with a polycarbonate quality lens opening that allows for the use of zoom control. Capture underwater pictures with quality images thanks to the specialized water-repellant and scratch resistant coating. Adjustable neck strap allows you to conveniently carry it and the float feature means it won't sink to the bottom of the ocean, lake or river.